Within the U.S. is an increasing interest in the fine arts. Although art museums are somewhat subjective since people have different opinions and preferences pertaining to style, these 10 are considered to be among the most popular. Smithsonian American Art Museum (Washington, DC) – What makes the Smithsonian unique to other art museums in the United States is that along with incredible displays of well-known and lesser-known artists are multiple exhibits and incredible educational opportunities. Metropolitan Museum of Art (New York City, New York) – On the border of Central Park, this museum is the largest in the country. Currently, over 2 million pieces of art are on display in the permanent collection, curated from Asia, the Middle East, Europe, and Africa. However, the museum also boasts renovated art galleries that consist of Islamic and American art. Museum of Fine Arts (Boston, Massachusetts) – At this museum, more than 450,000 works of art can be enjoyed. With such a vast collection, the museum is ranked as one of the largest in the country with fantastic collections of Egyptian, American, and French impressionist art. The museum also hosts the most extensive Japanese art collection outside of Japan, the Edward S. Morse collection. Museum of Modern Art (New York City, New York) – Located in Midtown Manhattan, this art museum has an impressive collection of modernist art. The galleries have all recently been remodeled and used for art displays, as well as regular exhibitions of contemporary art. Famous work by Pollock, Van Gogh, Picasso, and Rousseau grace the museum’s walls. Los Angeles County Museum of Art (Los Angeles, California) – With more than 100,000 pieces of art, this museum is the largest west of Chicago. The artwork dates back to ancient eras and goes through current day. Although there are many noteworthy pieces of art, especially in the Korean and Asian art collections, the museum is best known for its wonderful American galleries. Art Institute of Chicago (Chicago, Illinois) – Highlighting the collection at this art museum is post-impressionist and impressionist art. Located in Grant Park, the museum also features an amazing collection of African-American art. On display are paintings by several famous artists, including Monet, Cassatt, Manet, and Renoir, among others. De Young Museum (San Francisco, California) – Located in Golden Gate Park, this museum is best known for its impressive American art collection that ranges from the pre-Columbian era to the 20th In addition, there are over 13,000 costumes and textiles as part of the museum’s display. Paul Getty Museum (Los Angeles, California) – This museum boasts an incredible collection of pre-20th-century European paintings, as well as furnishings and sculptures. Also on display are European and North American photographs from the 19th and 20th centuries. Solomon R. Guggenheim Museum (New York City, New York) – In a Frank Lloyd Wright-designed building in Manhattan’s Upper East Side, this museum has a great collection of modern pieces. 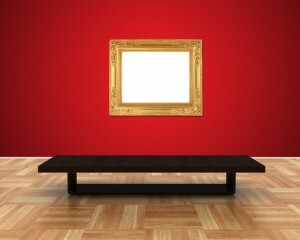 The majority of art is of contemporary genres, including Surrealism, Impressionism, Pop Art, and Dada. Wherever you decide to travel, all over the country, Signature Transportation can provide you with the limousine service that matches the quality of the art you seek. Call us today for any of your ground transportation needs, in Denver and around the entire country.